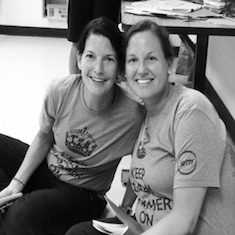 Tara Barnett and Kate Mills are teachers in New Jersey. 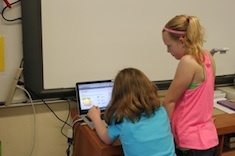 Their favorite years in the classroom have been the ones they co-taught together, when they experienced the powerful effects of professional collaboration for both the teachers and the students in the classroom. They blog together at Tara and Kate. A daunting task for teachers is to help students learn to use new tech tools, as well as understand community standards for each one. 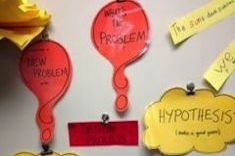 Katherine Sokolowski finds Tech Anchor Charts are a great way to provide ongoing support to students as they navigate new software and apps. 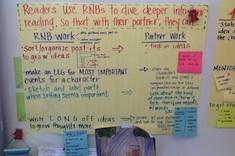 Mary Lee Hahn finds midyear is the perfect time for refreshing anchor charts. 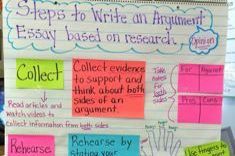 Melanie Swider shares suggestions for making anchor charts more purposeful. 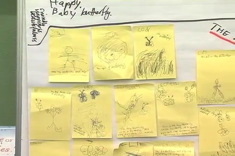 Over-sized sticky notes are a great learning tool for kindergartners. In this video, Andie Cunningham demonstrates how she uses them with her students. Mandy Robek begins an anchor chart with her kindergartners and explains the value of shared writing for creating charts about reading strategies and behaviors. Melanie Meehan chats with second-grade teacher Nadia Egan about her ingenious use of table charts to enhance conferences and whole-class instruction.